EDITOR’S NOTE: Points is thrilled to welcome back former editor Elaine Carey (you can read Carey’s previous posts here). 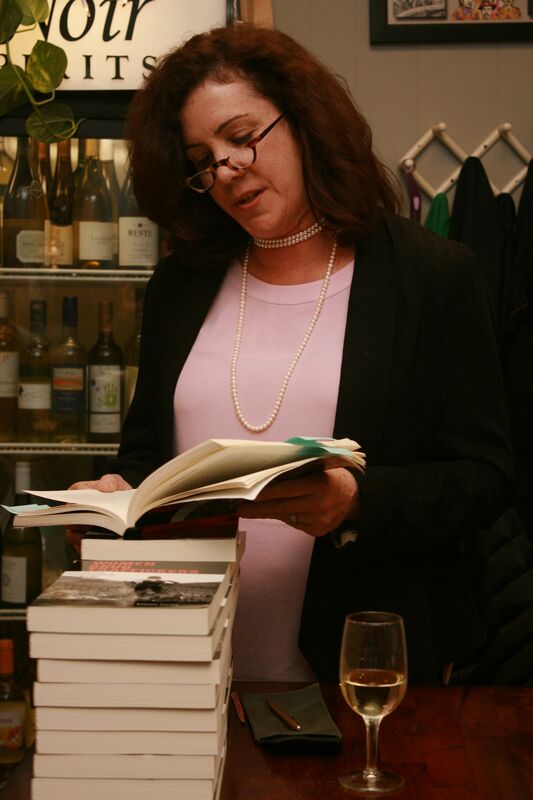 Carey is Associate Professor and Department Chair of History at St. Johns University. 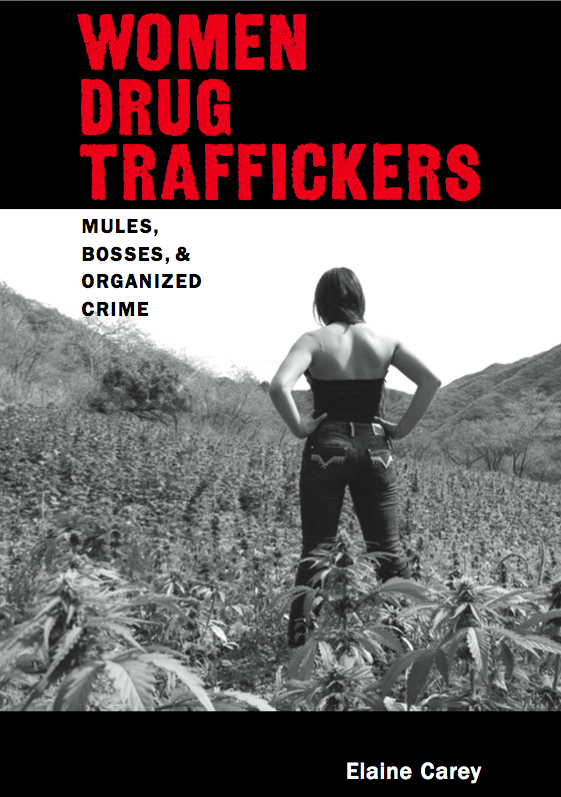 Here, she discusses her latest book, Women Drug Traffickers: Mules, Bosses, and Organized Crime (University of New Mexico Press, 2014). Growing up in Florida during President Ronald Reagan’s War on Drugs, I became familiar with multiple dope stories, both formal and informal. I followed the news about the Miami drug wars, and I noticed that men and women were involved in drug trafficking. From living outside the United States for much of my childhood, I learned that women dominate the informal or secondary market. They are street vendors, maids, nannies, and prostitutes; they work off the books. Combined with those observations, women’s and gender history teaches us to ask different questions of the historical evidence. Beginning in the 1990s, I read much of the literature on drug trafficking, and I was struck by the absence of women. Women were rarely mentioned, and they were never identified as partners or bosses. If they were identified, they were lovers, or they were perceived as unreliable in the trade. My starting question was: If women dominate the informal labor market, why aren’t they involved in drug trafficking? In 1997, I stumbled on the newspaper coverage of Lola la Chata, a Mexico City drug dealer and crime boss who controlled much of the city’s heroin trade, and I noted her longevity and success. I sought other women who were bosses. Guess what? There were many, far more than in my book. I found women bosses in the US, Canada, Mexico and many other parts of the world. They worked with their lovers, husbands, fathers, and sons. Or they built their own criminal networks that employed their children, lovers, or other family members. Until recently, scholars and policing agents either ignored or downplayed the role of women in those partnerships and organizations, which, I think, contributed to women’s career longevity. While most scholars acknowledge women in the drug trade, I think many considered them mostly as addicts or low-level workers such as mules. The history of drug trafficking demonstrates that women have parallel experiences to men. Like the majority of men, they are addicts and low-level workers, but they are also dealers, partners, bosses, financiers, and traffickers. Those who rise to the top are exceptional, whether men or women. Women’s historical involvement in the drug trade complicates the metanarratives of crime, vice, and policing, but also women’s and gender history. I think the case studies allow the reader to consider how women intersect to global or local illicit markets, and I think the work leads to other questions that might be pursued by other scholars. For example, what is the role of women in money laundering? I found the research compelling. Frequently, I entered an archive looking for the proverbial needle in a haystack. Early in the research, I made the decision to use case studies rather than other methods, for example quantitative analysis. I wanted to speak to scholars of the present such as criminologists and sociologists by developing the historical knowledge about drug trafficking and the significance of women. I started researching Lola la Chata in 1997. I pieced together her and other women’s histories over years and in different archives and collections. I relied on librarians, archivists, colleagues, journalists, former narcotics agents, hunches, and luck. Sometimes a lead that I thought would make a great case study fell apart due to the lack of evidence or the inability to access that evidence. I am private investigator with a very small budget. Researching Yolanda Sarmiento, I worked closely with archivists at NARA-NYC as well as an archivist for the US District Court of Eastern District of New York to find her court files and stenographers’ reports. Although archivists had information regarding the exact location of her court documents, the files were lost. Instead, I found her voice in another case. Since the files of defendants in drug conspiracy cases are bundled, I continue to request files of traffickers who she worked with in the 1970s. I hope to one day find her files to understand her connection to Corsican organized crime in Latin America. I wonder: did she go into witness protection, or are her files simply misplaced or bundled with those of another trafficker? That is easy, Mexican actress Kate Castillo. She played Teresa Mendoza, a boss, in the telenovela La Reina del Sur and Pilar Zuazo, a partner, in Weeds. Next Post → Write for Points!